Brandi Carlile's new album By the Way, I Forgive You is an emotionally powerful dive into her worldview, impacted by events of 2016, but also about becoming a parent, watching your parents get older, and dealing with love and loss and self-reflection. Carlile credits producers Dave Cobb and Shooter Jennings with pushing her to take her powerful voice further than ever on record and the results are some of the best recordings of her career. We got to sit down with Brandi in her home studio outside of Seattle to talk about Elton John and Freddie Mercury, plus the songs, the sounds, and the collaborators that make this record so special. 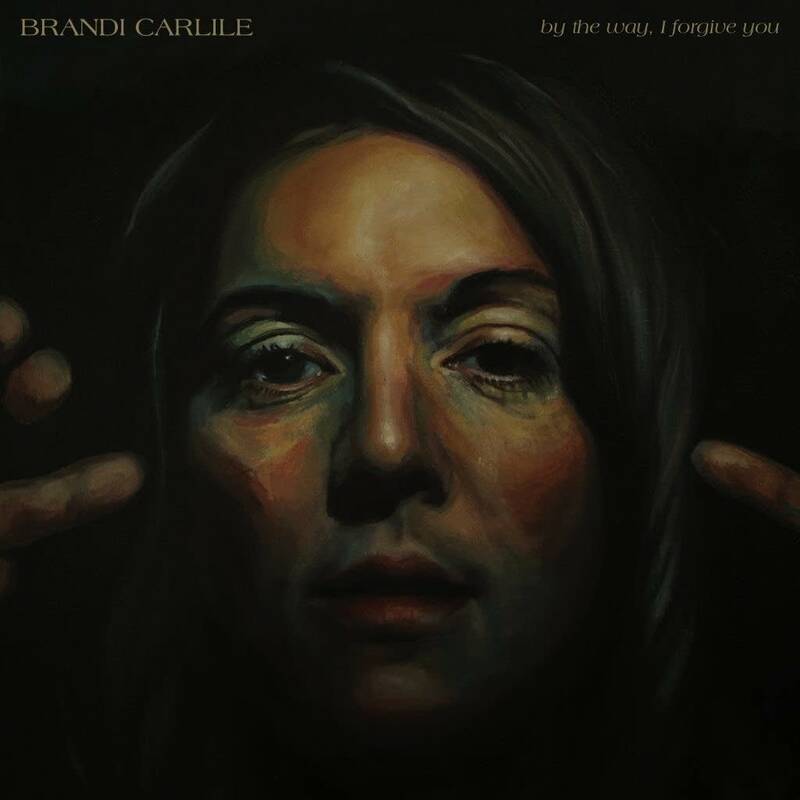 Jim McGuinn: It's The Current, and I'm here with Brandi Carlile, in your home studio, which I guess you were painting yesterday and you've invited a bunch of folks in to see you perform today. But this must be a great moment for you to have just completed this studio. 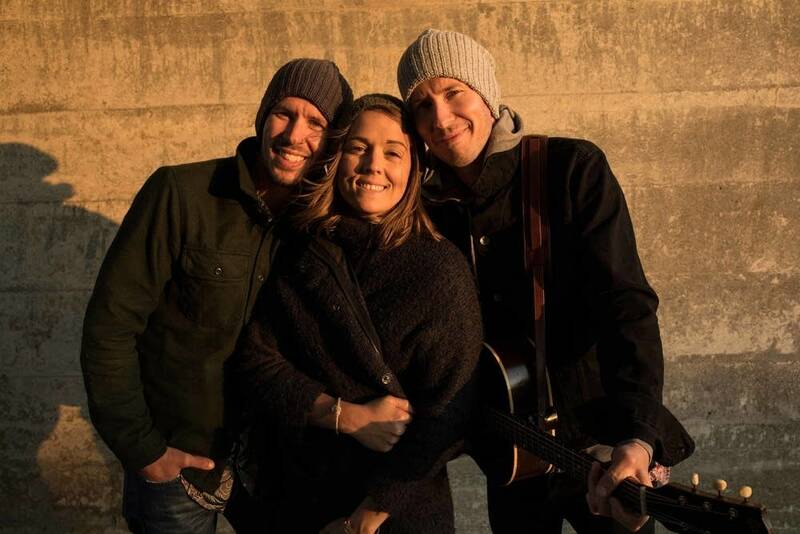 Brandi Carlile: It is a great moment, yeah! We worked on it a lot over the last month or two. Honestly, in front of you, I'm a little bit nervous about it, considering the studio you work out of! BC: That's one of the best studios I've ever played music in. The Current has got a brilliant studio. JM: So the new record, By the Way, I Forgive You, is this record shaped by the changes in you? The changes in the world? Or a combination of the two? BC: Oh man ... a combination of the two, I think. And maybe not so much changes in me but the realization of a few things in me. You've heard it - it's one of the most, I think, emotionally difficult records I've ever done, to sing and talk about and all that stuff. But I'm out here and figuring it out and doing my best. JM: You're getting real: there's songs about being a new parent. There's songs about being the child of aging parents. There's a lot of different themes. Does this, to you, feel like you've had a breakthrough as an artist? BC: I think so, yeah. I think I have. I think I've started writing about and started thinking about things on a different level, in much more of a subconscious way. Less about sounding smart or cool or current or interesting, and more just about really baring all. And I don't know, maybe a lot of that comes with becoming a parent. I think a lot of people even that don't write music are probably having a lot of these same thoughts and a lot of these conversations right now: the fear of losing your parents, the fear of wondering whether or not you have what it takes to be a parent, and then trying to adapt to the kind of collective emotional climate in the country that we live in right now. JM: So did you have a moment as the songs were coming together and you guys were writing them, where you knew that this was going to be a heavier record? BC: Yeah, there were a few songs that stood out in that way, but they all started becoming that when we started recording them. And then, once the record was finished, we recorded about 18 songs, and Shooter Jennings cut four of them to my dismay. And it wasn't until I listened after the fact that I realized that the ones he cut were kind of like revealing this sculpture of something more poignant and more heavy than we've ever done before. And he took away the things that weren't' that way, and that's when the body of work really showed itself and that's when the record became real to me. JM: So is that the role of a producer to you? That sort of outside voice or outside editing that helps you sort of see something that you can't see because you're in the middle of it? BC: It's been different every time, the role of the producer. Rick Rubin was kind of a mentor when he produced my first record. And then T Bone Burnett was like an audience, you know, because he's got such a presence about him. He's a bazillion feet tall, first of all, and an encyclopedia of musical knowledge. And then when Rick Rubin came back in the second time, he was more of a really hands-on teacher, and it wasn't the best experience at the time because it was rather corporate — that was when he started working at the record label. So I always had this dominance thing happening with producers — in really good ways, and in ways that challenged me. And then that led me to want to make Bear Creek and The Firewatcher's Daughter with just me and the twins — me and Tim and Phil Hanseroth — producing the record. And that went well. And so coming back to a producer like Dave Cobb and Shooter Jennings was a daunting task. And I didn't know what their role was going to be; I really didn't. But I felt that their role was liberator. I felt like it was very permissive for me in a really good way. JM: Is it hard when you've got sort of a new relationship like that to find a level of comfort with Dave and Shooter, or was it really comfortable right from the start? BC: It was difficult to find a level of comfort. I feel like when we stopped working with the major producer thing for a minute there, it should have been liberating, but really it put a lot of pressure on us, you know? Because it's interesting when you're trying to wear two hats and do two jobs, like I'm trying to get these performances that are really important and vulnerable and lasting, obviously permanent, and I'm also really concerned about whether or not the engineers had lunch yet or when the drummer needs to get paid, or what the dynamic is like in the studio: who's coming in, when are we that cellist in? Whether the piano needs to be tuned. Those kinds of things — I would never say they took me out of the performances, but I was always splitting between those two people, which I'm a Gemini, so that's possible for me! But at the same time, going back to working with a producer, it was a really compelling change to be just a performer again. But the dynamic that really struck me, and that became really comfortable really fast, was that because I had come from a background of working with producers in a way that was kind of high pressure, I had it in my head that there was a way to make records and a way to play live shows, and they were not the same way. And Dave Cobb was not impressed with that theory and wanted to challenge my belief on that, and really brought out my live performances on this record. JM: You're going for it, you know? And maybe that's the thing he brought, right? BC: Yeah, he really, really brought that. He challenged me, encouraged me. He knew exactly how to push buttons in me to make me want to show off for him and stuff. It was pretty cool, a pretty cool moment. JM: Yeah. Well, we talked about now the producers of this new record, but I think people that have followed you and know you know about the structure of the band, but for those that maybe haven't seen you live or haven't been along all the way for the journey, talk about the twins and what they bring to the process. You guys are literally family at this point, right? BC: Yeah! Tim and Phil Hanseroth, I met them in my late teens. We started a band together around 20, 21 years old for me. Got a record deal. We've been together ever since. We do everything, split everything three ways. We're an equal trio. We're called "Brandi Carlile" but we shouldn't be. It's one of those things that if I could change it, I'd go back and change it. JM: And they contribute the writing, and obviously their vocals are beautiful and their playing is tremendous on this record. BC: Everything! I mean, you're sitting in a room right now that had all three of us on our hands and knees working in here last night. BC: (laughing) Yeah, you're probably right! That's what they say, too. They give me a hard time about that a lot. JM: So I noticed in the studio — and we're in Brandi's studio here — and I noticed in the studio you have a framed Elton John record, signed by Elton, and you worked with a guy on this record who is primarily known as his string arranger, Paul Buckmaster. What did that mean to you to have that experience? BC: Well, Paul Buckmaster — first of all, you know he passed away? BC: In the late '60s and early '70s, Elton John did this but a lot of people did this, they used to picture their arrangers and producers and collaborators on their record artwork. It wasn't just the band; it was everybody. And so on Elton John Elton John and on Tumbleweed Connection, there's pictures of Paul Buckmaster in the record packaging. And when I fell in love with Elton John, I was 11 years old, and I was fixated — I mean, fixated like only an 11-, 12-, 13-year-old kid can be. And I knew every name, every statistic, shoe sizes, and Paul Buckmaster was one of the heroes in that scene. Plus, Paul Buckmaster was really responsible for so much of what Elton's music was during that time. I mean, I think if you ask anybody what their favorite Elton John era is, they're going to say 1969 to 1977. I love Elton John, but that's no coincidence because that was the Paul Buckmaster era. JM: He also worked with Bowie and a lot of people. BC: Rolling Stones, Miles Davis ... So I had his picture on my wall as a 12-year-old kid, and I met him by chance when I was 16; I was nobody, I didn't even hardly know how to play an instrument. But I got invited to a recording studio in Seattle by a producer that knew I was wanting to be a singer, and I got to watch him conduct a symphony orchestra. And I met him then, and I sang a song for him in the lobby of the studio, "Sixty Years On," actually. And he said to me, "When you grow up, I'm going to do your records." So on my second album on Columbia, I called him up and I'm like, "You don't remember me" — and he didn't remember me! (laughs) "But you said when I grew up, you're going to do my records, and now I've got a song for you." And so he did "Pride and Joy" back then, and I hadn't worked with him since. So I asked Cobb if we could call him up on this record, so Paul came out and he live-conducted a 30-piece orchestra for my album. And then he died. He died really unexpectedly, and kind of young. He was only 70, you know? JM: What are the contributions on the record now that when you listen to it, it just brings him back for you? BC: The end of "Whatever You Do," and "Party of One." "Party of One" is the quintessential Paul Buckmaster string arrangement. You're going to hear it tonight — I'm going to play it for you. JM: I wanted to ask you one thing: There seems to be on this record kind of a conflict of belief. There's lines about praying, and there's lines about a lot of doubt about God. BC: I'm big into Brennan Manning, and I'm big into Tolstoy. And I'm big into Rob Bell. Basically, faith is doubt. It's completely balanced by it. Faith without doubt lacks context. And so my faith is carved out of doubt and frequently revisits those grooves, and I find constant fodder for songwriting in that process. JM: In that spot between those two, the double-edged sword, kind of? JM: And I want to thank you for writing the song, "Mother." JM: I think that's just an unbelievably beautiful song. And it's clear it's personal — you name your daughter in the song and stuff — but it's also universal. BC: I know. I've heard a lot of dads coming up and they're like, "I get it!" And gay moms, that are like, "Yeah, the gay mom thing really is a prominent part of that song" because it's different, and there's not quite a template yet. And then straight moms who feel the same way, single moms, dads. So there really is a parenting thing that's sort of a universal thing. It's not a cop out. It really is a general theme in love and affection and how difficult that is. It's the same thing with the faith and the doubt thing. You love your kids, but it's a very stressful paradigm. JM: (whispering) And just wait until they're older than four! JM: So the first track that we heard from the record is "The Joke." I saw a quote from you referencing Freddy Mercury. It really clicked for me. Can you talk about that connection there? JM: That's an interesting combination there! JM: Is it important for you to have a song that speaks to those that might not feel spoken to? BC: Yeah, absolutely. That interests me as a person and as a seeker in general. And I think I'm just lucky to be a musician and to be a songwriter, that I have an outlet for that feeling of being able to lead an anthem or have an anthem that other people can use as a tool in their daily lives, just to remind us all that we do know how it ends. We know where this is going. We know that love's already conquered the world. And we're just waiting for that outcome. JM: Hopefully sooner than later. JM: It's Brandi Carlile. We're in her studio outside Seattle. You have a beautiful home and a wonderful studio. Thank you for finishing the varnishing and staining. JM: Thank you for putting that extra time and effort into it to welcome us here to your home! And we look forward to welcoming you back on the road this spring and summer. Congratulations and good luck with the new record. BC: Thank you, brother. I'm looking forward to it. Brandi Carlile reflects on 10 years of 'The Story' NPR Music's Ann Powers talks with Brandi Carlile about the singer's efforts to raise money and awareness for children who are affected by war and conflict. Brandi Carlile performs in The Current studio In town for a couple of shows at the Varsity Theater in Minneapolis, Brandi Carlile and her band stopped in to The Current's studio to play some songs off their forthcoming record, 'The Firewatcher's Daughter.' The session features the live radio premieres of three new songs, including one about which Carlile says, "It's my favorite song on the album, probably my favorite song ever." The Current's Guitar Collection: Brandi Carlile, Collings custom Singer-songwriter Brandi Carlile describes her Collings custom guitar, a guitar make she starting playing based on the recommendation of a songwriting legend. Album Review: Brandi Carlile, 'The Firewatcher's Daughter' Brandi Carlile, along with her musical collaborators Tim and Phil Hanseroth, have released what might be Brandi's most rockin' album to date. Read Bill DeVille's review. Album Review: Brandi Carlile - Give up the Ghost "I believe this to be true / Nothing sacred nothing new." The lyrics seem to sum up Brandi Carlile's third album, "Give up the Ghost." Brandi Carlile performs in The Current studios Old-friend Brandi Carlile is a prolific folk rock artist, having released her third album of the past four years. Her newest, Bear Creek, was recently our CD of the Week. While in town to kick off her tour at the Minnesota Zoo, she returned to The Current Studio to perform a few songs from Bear Creek and chat with Jill about her rainy zoo performance, the inspiration behind the new record and her long-held goal of wearing a "nudie suit." Album Review: Brandi Carlile - Bear Creek Brandi Carlile's greatest gift is that she is an exquisite singer. She can be tough and she can be tender with ease. Her vocals are never forced. She is always in her comfort zone, without all the vocal gymnastics of many of today's pop stars. Brandi Carlile performs in The Current studio Brandi Carlile made her stage debut at the age of performing Rosanne Cash's "Tennessee Flat-Top Box" at the Northwest's version of the Grand Ole Opry. Brandi Carlile performs in The Current studio Brandi Carlile grew up in a musical family in a small town outside of Seattle. Her naturally wonderful singing voice must have made it easy to choose a career in music. She could have slid by using just those pipes, but she worked hard to teach herself piano, guitar, how to layer harmonies with other singers and to write songs. Brandi Carlile performs in studio Brandi Carlile performs "What Can I Say," "Down Pour," and "Hallelujah"